It’s Hawks, Demons & Kangaroos week on the podcast plus Warnie gets the inside word from FahHub. 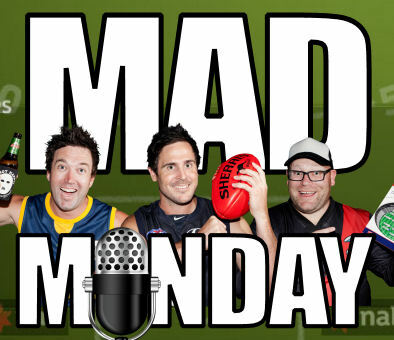 Welcome back for another big Mad Monday episode from Roy, Calvin and Warnie in the middle of the massive AFL Fantasy pre-season! Subscribe now in iTunes and feel free to give us a rating and comment. What we’re getting out of the NAB Challenge… plus you can probably tell that Calvin is excited about the weekend we had. Hawthorn, Melbourne and North Melbourne have all played one NAB game so far and are our teams in focus. Warnie chatted to Andrew Cronyn from FanHub, the new AFL Fantasy providers. Hear about some of the exciting changes to the game plus some hints on how the price changes will work this year and a couple of other surprises! Thanks for listening! Feedback is always appreciated. Hit us up in the comments here and if you’re feeling nice, a review on the iTunes page would be great! Hooley Dooley, some pretty big changes. Hope FanHub tell us all the rules before the season starts as that will impact our team choices. I think they have told us the rules – well, all that they need to – in the podcast. People will argue that the pricing formula should be spelled out, but Virtual Sports have never publicly released this and it was only ever in the public domain by people reverse engineering the formula. Keeping it pretty simple, a higher weighting (most likely as a %) will be on more recent games whereas the old formula for DT has equal weighting on the last three matches. To be honest, it’s not going to make a huge difference, but the price changes from their first* game will. No longer will we have two games to wait on players. Great listen but Dom Tyson was subbed out in the 3rd quarter boys, still high on the list! Haha! CALVIN, you had one job! Unfortunately we didn’t get to see much of the match… we were busy entertaining our new piggy friend. Price change stuff was very intriguing, trying to get my head around how its gonna impact things. We might get an open forum for the FanHub guys to answer some questions.